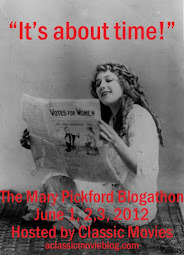 What would post-silent age Hollywood have become without the contributions of talents from Broadway? It's difficult to envision the industry developing the way it did without the infusion of stage actors that gave the early talkies life and nearly impossible to imagine without the talents of musical stars and songwriters. 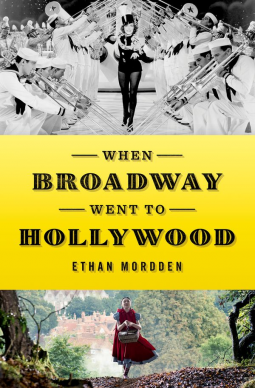 In a new book, Ethan Mordden explores the latter as he pays tribute to the songsmiths who called Broadway home, but also made significant contributions to films. Covering the film musical from its start to the current day, the book focuses on songwriters and their lives working for the studios, though there are a few chapters which focus on related topics like operettas and roadshow musicals. Mordden provides biography, context and analysis of the success of these artists in search of bigger paychecks and greater renown for the work. He writes about these contrasting showbiz cultures and how stage properties were altered for a more widespread audience. While movies could make these songwriters rich and famous, they had much less power in Hollywood than in the theater. Studio heads wanted their talents, but generally had little respect for Broadway artists. Mordden writes in a lightly humorous style. Sometime he's funny; occasionally he makes you groan. He gives the history life though, keeping the pace buoyant as he unravels the details. I was a bit baffled by the technical language he used to describe songs. If a couple of decades of music lessons were not sufficient to make descriptions like "flatted submediant major with a minor seventh" and "dominant seventh chord and 4/4 time" easily decipherable, then I'm guessing this aspect of the book will definitely confuse the average reader. I felt I lost something of the message in that regard. The strongest sections of the book are the tributes to the greats. Composers like Cole Porter, the Gershwins, Rogers and Hart, and Jerome Kern provide interesting insight into their lives and Hollywood experience. The Irving Berlin chapter is especially engrossing, beautifully visualizing the musical legend's impact on musicals. Profiles of lesser-known composers like Frank Loesser, Jerry Herman and Harold Arlen, and the analysis of modern musicals are not as strong, though to be fair, this is likely due in large part to those stories lacking the same intrigue. Mordden inserts a great deal of his opinion into the text, and he is knowledgeable, so these insights are for the most part useful. Some readers may take issue with some of his assessments of performers. For example, I felt a bit irked when in discussing Elizabeth Taylor he commented about "whether or not one feels that she has the thespian skills," a common insult that I feel unfairly dogs the actress. While I was certainly aware of the strong connection between Broadway and Hollywood and how important that was in the early age of sound movies, I'd never given it much thought. When Broadway Went to Hollywood, gave me a good overview of the way the town treated these east to west coast imports. In the end, it is easy to see why the movies were an attraction for theater-based composers, but never a replacement for the glories of the stage. Many thanks to Oxford University Press for providing a copy of the book for review.